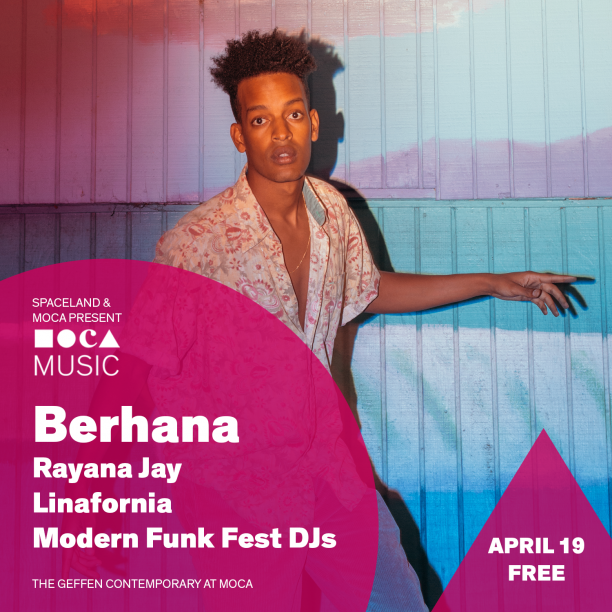 MOCA Music’s April 19 performance features Berhana, Rayana Jay, Linafornia, and Modern Funk Fest DJs. Alongside the performances will be food trucks, drinks, and regular museum programming. The MOCA Music series is FREE with RSVP, priority entry for MOCA members.